At RPA, our aim is to empower our members to reach their ultimate financial potential. Together we will help you to achieve your objective by utilising professional resources & expertise in Property Investment and Finance. 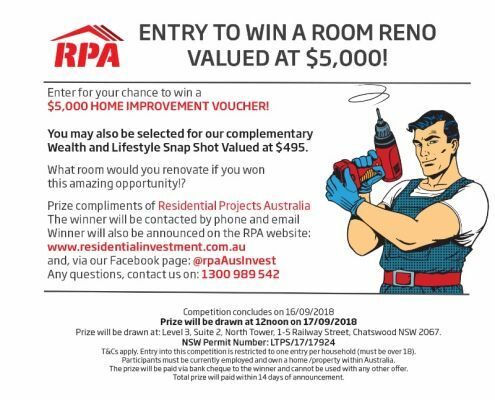 Come visit our stand to go into the draw to win $5,000 towards a home renovation.